A short forgotten post of my trip to Orlando. 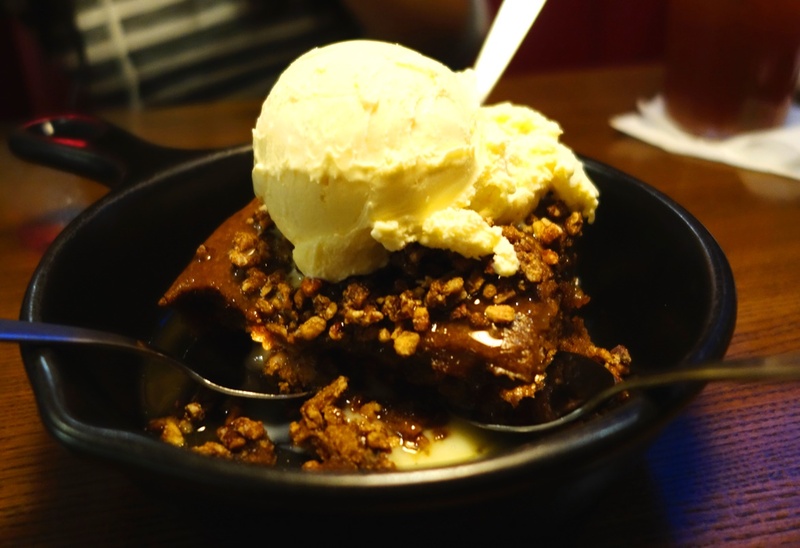 I normally wouldn’t blog about trips to large franchised restaurants but I found something interesting on the dessert menu at TGI Fridays that I’d like to share. A warm Tennessee whiskey toffee cake topped with vanilla ice cream served in a small cast iron pan. I personally love the taste of a good whiskey and I felt that this is a very creative combination of flavours between the toffee and whiskey. I might make my own dessert with alcohol as an accent piece, I’m thinking rum.